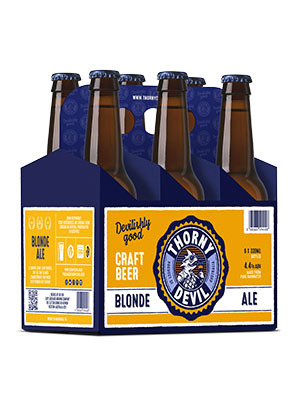 Buy Beer Online – Australian brewery, Thorny Devil Craft Beer, has its very own online bottle shop. Your favourite Blonde Ale and Pale Ale are now available online 24/7. If you want the best award-winning Australian beer delivered to your doorstep, then shop with us now. Fantastic deals and discounts await you. Free delivery for orders 2 cases and up. Order now and don’t spare the chance of sipping the famous Western Australian award-winning craft beer – Go to thornydevil.beer/shop. Organisers of this year’s Potters Bar Beer Festival are hoping to beat last year’s record event, which attracted more than 1,000 people to the town’s football stadium. Potters Bar Football Club has arranged 35 real ales, eight ciders, five bands, and a rich variety of entertainment for both children and adults at the festival, which will last from noon to 3pm on Saturday, July 15. Matt Giles, who is one of the festival organisers, said: “It grows every year. It is a great local community event. As an incentive to buy tickets online, the club is offering them through its website at £10 rather than £15 up to today. Profits will be split between various local charities and the club’s ongoing clubhouse project.